The ACI Greater Michigan Chapter and our meeting sponsor, St. Mary’s Cement, invite you to join us Tuesday, March 12, 2019, for a presentation on Insulated Concrete Form Construction (ICF). Our speaker, Nick Popoff, will discuss how constructing a building is never easy but the decision to build with ICFs was. 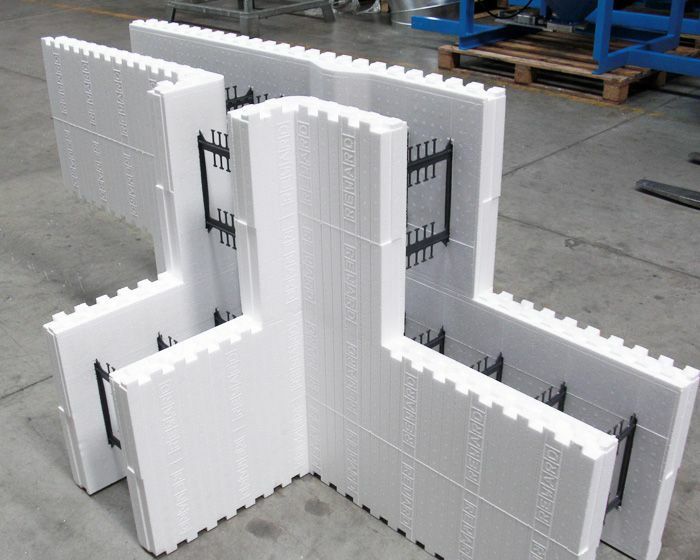 The first cost is offset by the resilient design, in-place insulation and the thermal mass of concrete within the ICF that creates a stable temperature profile within the walls of a building or home. Recent studies will be presented on how and why thermal mass and insulation work to offset the initial cost of construction for both residential and mid-rise commercial buildings. Also, follow the experiences of a homebuilder; first-hand of constructing and then living in an ICF home. Speaker: Nick Popoff is a Professional Engineer with St Mary Cement/Votorantim Cimentos. He graduated from the University of Toronto Chemical Engineering program. He has been with St Mary’s for 30 years and 12 days (at the time of this presentation) and has taken on several roles throughout the years in the Technical Services and Sales areas. He sits on several Technical Committees at ACI (Sustainability 130, Durability 201, Proportioning 211, Hydraulic Cements 225 and Ground Slag 233), ASTM (Cement C01, Concrete C09, Masonry C12 Sustainability E60 and several subcommittees within those Technical Committees). He is a member of the NRMCA Technical Advisory Group to MIT and responsible for Quality and R&D at St Mary’s. He is also the current Chair for the Portland Cement Association Product Standards and Technology group as well as the current Chair for CSA Cementitious Materials Specifications in Canada. His current title is, Vice President Product Performance and Technical Services, based out of Detroit, MI. Registrations received after Thursday March 7, will incur a $10.00 late registration fee. Cancellations received by 11:59pm on Monday, March 11, 2019 will be accepted with a 100% credit of the registration rate to your ACI GMC account, available to be used for a future meeting registration. Refunds will not be given. Cancellations received on or after Tuesday March 12, 2019 or no-shows at the meeting, will not receive a credit or a refund. Unpaid cancellations received on or after Tuesday March 12, 2019 or unpaid no-shows will be invoiced and the registrant will be expected to pay the full amount of the invoice.